So you’re going to launch a new product/website/blog/service online – how do you make a big splash that gets people on board and taking action? 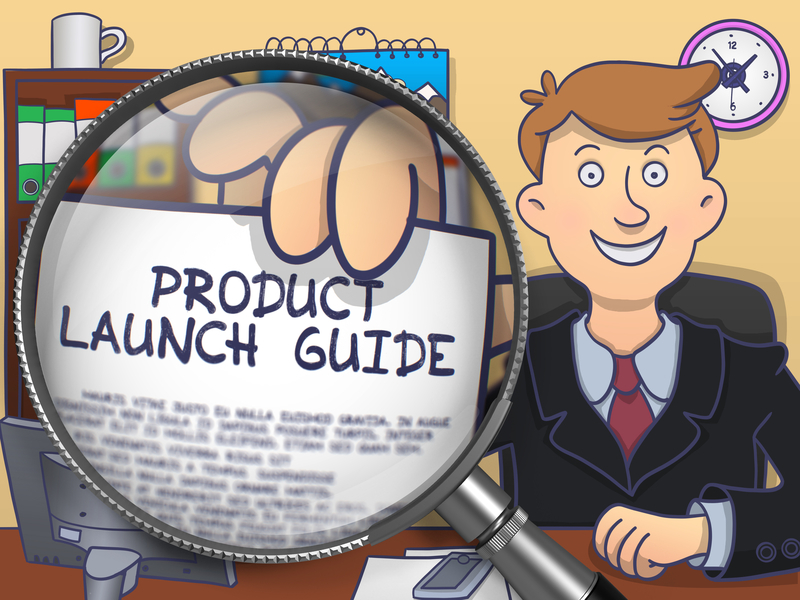 While this isn’t meant to be a step-by-step primer, we have put together what we think are the crucial nuts and bolts to any successful launch. Know what you want. You can launch just about anything with a little creativity. But the first question you should be asking yourself is not what to launch, but what you want to get out of a launch. Do you want sales? Do you want to build a list? Positioning? Speaking engagements? Attracting partners and affiliates? By knowing what you want, you’ll be much more successful in figuring out how to get it. Forget hype. Create an event. People are over run with hype and hoopla and the latest and greatest everything, which is why you don’t want to add to the noise. Instead, you want to cut through all the hype and turn your launch into an EVENT. Think about it – despite how busy we all are, we still love holidays and birthdays and graduations and so forth. Why? Because they are events – they’re things to look forward to and celebrate. That’s why when you turn your marketing into an event, you’ll completely bypass all the other marketing that’s happening and you’ll stand head and shoulders above the other distractions competing for your prospects’ attention. Create urgency. Whatever it is that you want people to do – buy your product, get a freebie for subscribing, join your membership, whatever – give them a deadline or use an element of scarcity. For example, if people purchase during your launch period (typically 2-7 days) then they get a special deal or extra bonuses or a lower price. Or your offer is only available during the event – after that it goes away permanently. It’s because you’re running this special event that you can add in the scarcity element. Otherwise it’s difficult to do it ethically – for example, those scripts that say the price will increase by midnight of the day the visitor hits the page are not only unethical – they may even be illegal. And because of the scarcity – the bonuses going away or the price increasing or the actual product no longer being available – you’ll find there is a surge in sales in the hours before the deadline. Scarcity really is a powerful motivator. Introduce something in the middle of your event to spike sales. Let’s say you’re doing a five day event. On day 1 sales will be high because people are primed to buy. But by day 3 sales will have fallen off dramatically. That’s why you need something to add excitement and make more sales. It might be an additional big bonus, or it could be a payment plan. Whatever it is, introduce it shortly before the halfway point. You should see a sales spike in the hours immediately after your announcement and again on the last day of the event in the final hours before it closes. Your sales letter is not what you think. Sure, on the day of your big launch you’ve got a sales letter ready to sell your product or sell whatever action you want them to take. But that’s only the END of your sales letter. Really your entire sales letter begins with your first marketing message and continues all the way through the pre-launch phase. What you’re doing throughout your entire prelaunch phase is introducing yourself to your prospects, letting them know that you suffered from the same problem they have and you’ve found solutions. You’re telling your story, and as you tell your story you also share tidbits of really excellent information that they can use right away. You’re actually accomplishing two things at the same time – you’re establishing trust by telling your own personal story, and you’re establishing credibility by sharing some of your best material with them for free. Mind you, you’re not giving away the farm or telling them everything you know. Rather, you’re telling them what they need to do to accomplish their goal or solve their problem. You’re just not telling them how to do it, because that is covered in the product. This way, when you get to the actual product launch day, you’ve got people who don’t even need to read your letter in order to purchase your product – they’re ready to buy. And those who do need a sales letter to make the decision are already warmed up and very interested – you just need to push them over the fence. Begin your launch just as you would begin a sales letter – with a big headline. You need something to capture people’s attention and get them excited. And each phase of your pre-launch should have another headline, whether it’s a written message or a video. Always be capturing attention and creating curiosity all the way through the process. Remember, this is an EVENT, so treat it like an event. Rather than using hype, attract people with what’s actually happening and what’s really taking place. Your launch can change people’s lives – if not then maybe you should rethink it. And because it can change lives, you need to clearly convey that message to your prospects. And the best way to do that is by using an attention grabbing headline each time that sets the tone, and then following up with really great information. Have a great offer. This goes for anything and it’s especially relevant for launches. Just because you’re going to all the trouble of creating an event doesn’t mean you don’t also need a great offer, because you do. I don’t care if you’re a wiz at prelaunches and launches, if your offer stinks then you’re not going to make sales. So what’s a great offer? It’s something where the customers thinks, “Wow, I can’t believe I’m getting so much value for so little money.” That doesn’t necessarily mean that your offer is cheap – it could be $1,000. But it does mean that you are offering far more in value than the price you are charging. For example, if you’re showing someone how to set up a business that pays them $1,000 a week, then $1,000 for that information is nothing (it’s peanuts). Or if you’re showing them how to solve a problem that’s been driving them crazy for days or weeks or even years, and you’re doing it for only $47 while they’ve spent hundreds trying to solve it, then it’s a great offer. Get help with your marketing message. You go through the whole process of prelaunch and launch, only to have a dud. Ouch. You can prevent this and have a strong event by taking a little time to have some conversations with your prospects in advance. For example, float your idea in a blog post and gauge reaction. Are they excited? Do they want to know more? Or is the sound of silence all that you’re receiving? Talk to your prospects and customers on forums, webinars, via email, teleseminars, etc. Gauge reaction and tailor your sales message accordingly. This can only aid you in having a successful event. So you keep hearing, “When I make cookies they always get too thin at the edges and that part burns.” So you make a video that shows you had the exact same problem, and it was really embarrassing when someone would comment about your weird cookies, but then you found the secret and here it is and now your cookies are perfect. And Voila! You are now the expert baking problem solver, all because you listened to your market and discovered some of the things that were driving them crazy. You might be wondering why I call these things objections, and the reason is this: If your prospects feel like they can’t do the simplest of things, then they’re not going to possess the confidence to invest in your program. But if you can show them how rapidly they can make improvements, not only will their confidence in their abilities increase, but so will their confidence in your ability to dramatically help them. Sequence your launches. You might be thinking that launches are just for huge products and million dollar deals, but that’s just the high profile launches. If you’re smart, and especially if you’re just getting started, you’ll start small and stack your launches. For example, your first launch might be for your blog – to get your first readers and start building your list. Your second launch might be a small product in which you’re really focused more on getting active affiliates than making sales, because with your third launch you’re going to be going bigger, with a more expensive product. Having those affiliates in place from the last launch will help you tremendously. Maybe when you’re focused on gaining affiliates and building your mailing list, you pay 100% commissions. Then as you get bigger, you start charging more for your products but paying lower percentages to affiliates (example: 100% the first time, 75% the second, etc.) And you just stack this way, doing one launch after another, sometimes with different goals in mind and always building on what you’ve done previously. Remember, launches aren’t just for the Internet marketing realm. Because we’re in Internet Marketing, we’re witness to a lot of IM launches. But if you look at others niches, and just about ANY niche, you’ll find that launches are there as well. In fact they often work even BETTER, because they’re not overcrowded with launches the way that IM can be. So the tip here is to think outside of IM, to look at any other niches you’re in or you want to be in, and think about doing a series of launches in that niche to build your business there. Help! I Can’t Get Started!